Time-triggered automation using Supervisor is a feature in AriticDesk in which if the ticket is not solved by any one of the user then it will be automatically get closed or will be assigned to other users as per the scheduled triggered. 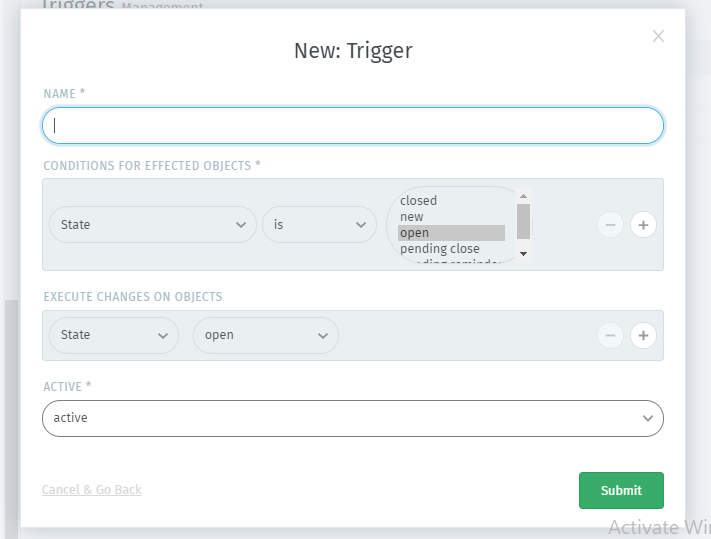 Go to AriticDesk Dashboard > Admin > Business Rule > Trigger > New Trigger. In the new modal window, you can schedule the trigger for the different tickets and conditions.